For people in parts of West Coast and North West Pastoral districts. Issued at 8:23 pm Thursday, 6 December 2018. 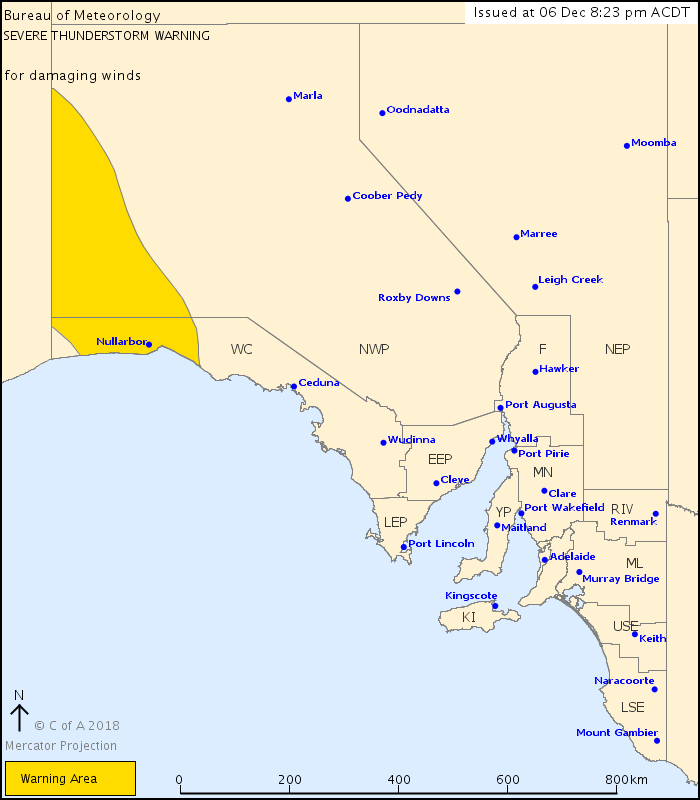 Severe thunderstorms in the far west of South Australia. Severe thunderstorms are likely to produce damaging wind gusts in excess of 90 km/h in the warning area over the next several hours. Locations which may be affected include Cook and Nullarbor.